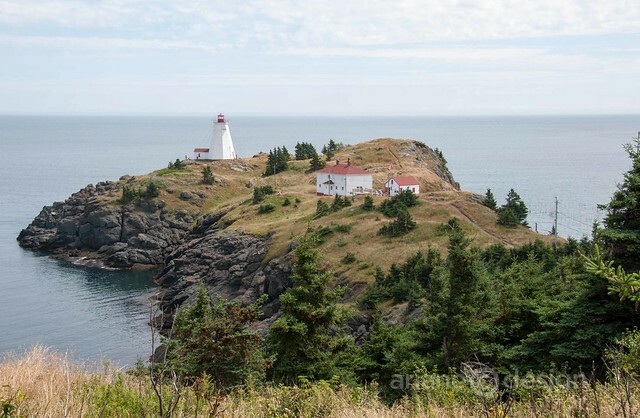 Part of my recent travels to New Brunswick brought me to Grand Manan Island, situated 15 km (9 miles) off the coast of Maine in the Bay of Fundy. Black’s Harbour on the mainland connects the island by a 90-minute ferry. 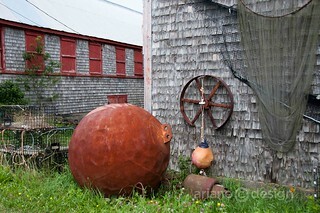 We were on the island to enjoy two boat tours: Whales-n-Sails Adventures and Sea Watch Tours. 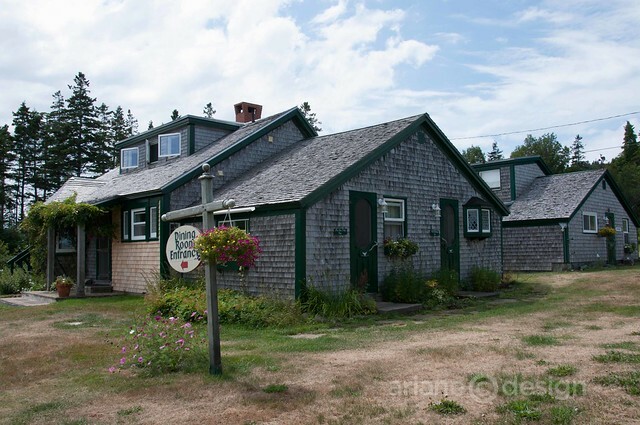 Grand Manan has several cottages, inns, and B&B’s as well as the Hole-in-the-Wall camping, named for the cut out rock formation that hugs the coastline near the campsite. 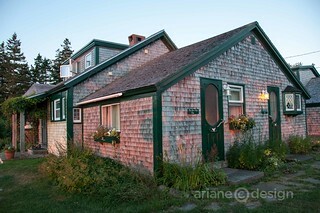 We stayed at charming Inn at Whale Cove Cottages for the night, up in North Head, close to the northern tip of the island. 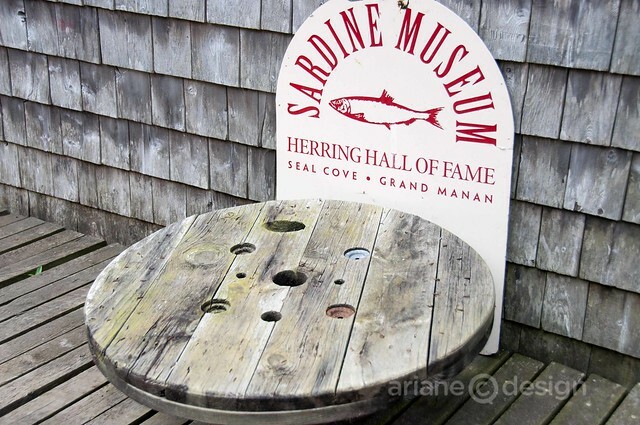 There’s a feeling of being out in the middle of nature as colourful Adirondack chairs face out on the lawn to Whale Cove and Fish Head. 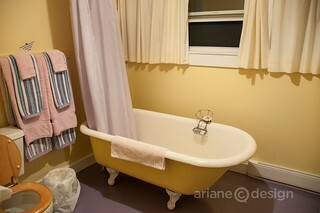 The Inn’s main house was built in 1816 and is lovingly restored with claw foot tubs, lavender, green, and yellow hues, with enough space to spread out. We didn’t spend too much time in the living room or restaurant but owner Laura Buckley graciously set out a continental breakfast spread for our early rise the next morning (our Sea Watch tour left the dock at 7 am). The fully licensed dining room is open seven nights a week in summer and on weekends outside that period (occupancy-dependent). Local and seasonal products feature on the menu; Ms. Buckley trained in Toronto and has worked as a chef across Canada. 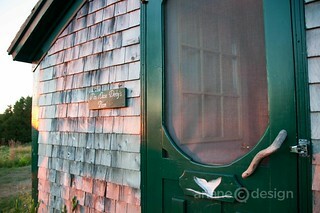 I stayed in Miss Eloise Derby’s Room with a queen bed and water view out the door. The peaceful surroundings and crickets gave me a good sound sleep there. 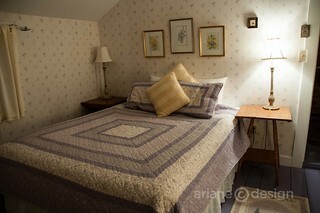 Single occupancy rooms are $130; double occupancy $140 (not including HST), including a full breakfast. Check the website for rates and reservation info. 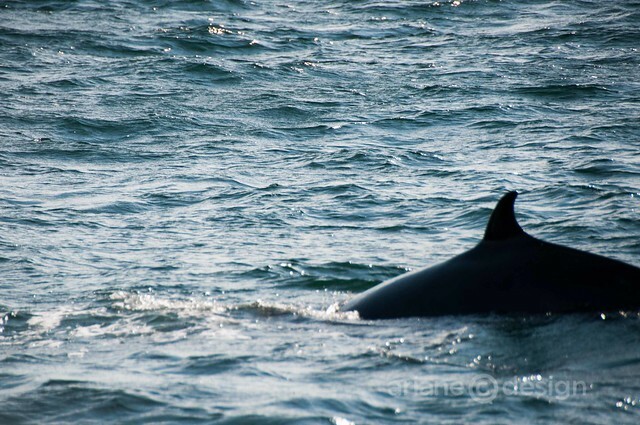 Our whaling adventure with Whales-n-Sails began aboard the 60-foot Elsie Menota for a four and a half hour trip where we spotted a Minke whale, several seabirds, porpoises, seals, a few stray puffins, all in a sun-soaked day of fun. Getting to the tour on time is dependent on the Blacks Harbour ferry schedule. As long as you time the 9:30 am ferry to arrive at 11, there’s enough time to check in for the 11:30 am tour. The boat will only go out when conditions are clear. On the day of our tour, fog delayed it until 4 that afternoon. 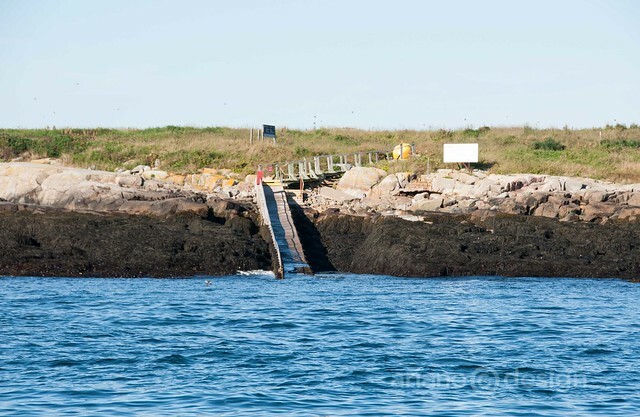 It’s easy for day-trippers to walk on the Blacks Harbour ferry and get to the tour in time. 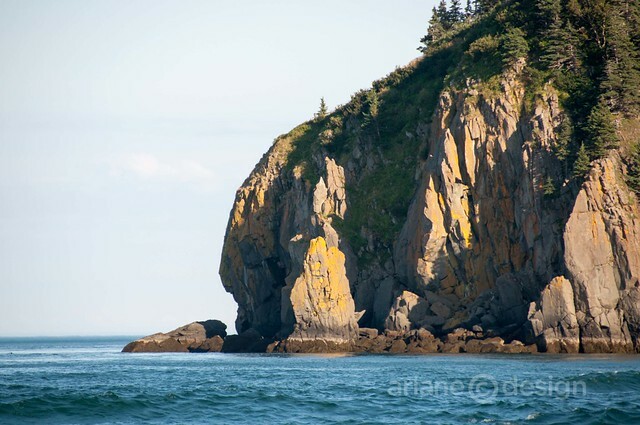 Marine Biologist Laurie Murison is an expert on Bay of Fundy marine life. She pointed out birds, seals, and whales long before the passengers spotted them. Prize-winning wildlife photographer Allan McDonald was also onboard to give tips on how to best capture the huge whales (and a lot of it IS luck). Towards the end of the tour, we were served a welcome cup of homemade seafood chowder and bread, prepared in the deck below. Coffee, tea, and hot chocolate are complimentary during the tour; bottled water is available for purchase. It was good that we’d brought layers and sunscreen as the early evening brought more wind and slightly cooler temperatures. 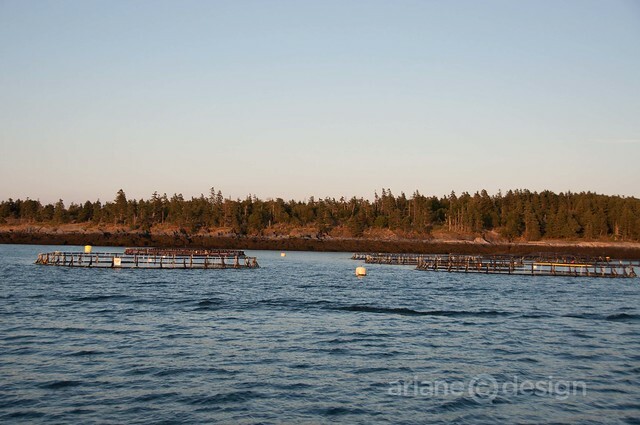 Towards the end of the tour, we stopped to view the Atlantic salmon farms. 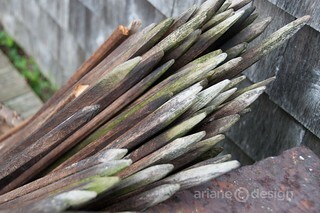 Overfishing in this region has sadly led to this alternative. Whales-n-Sails tours cost $65 ($45 for children 12 and under). Trips are offered daily at 11:30 am and 4 pm from June 25 to September 18. 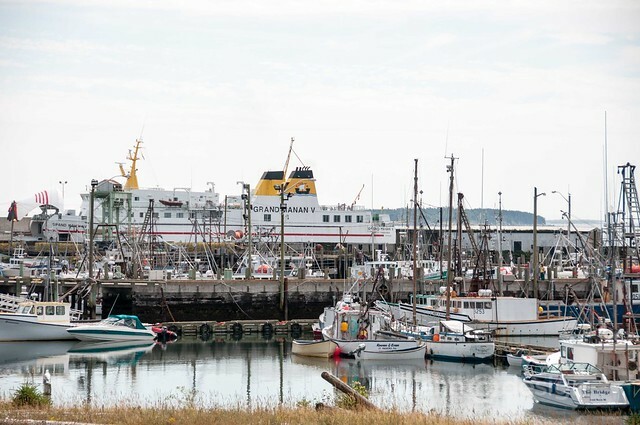 The Whales-n-Sails kiosk is located at North Head Fishermen’s Wharf on Grand Manan Island. It’s advisable to reserve ahead of time. 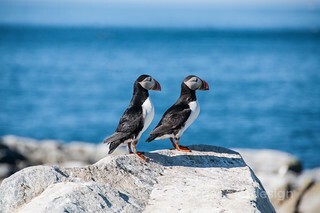 The next morning, we were off bright and early to Machias Seal Island, home to an Atlantic puffin colony as well as to numerous sea birds that migrate through the region annually. 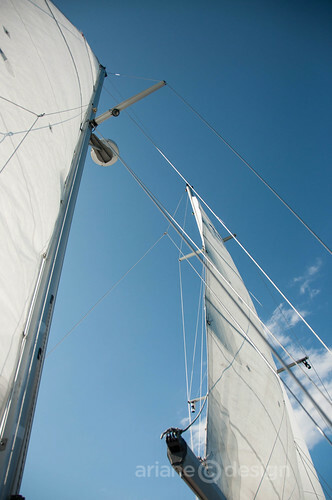 Sea Watch Tours has over 40 years of experience through these waters. Several wildlife organizations, film crews, and photographers have taken the one and a half hour (plus five minute skiff transfer) to Machias. 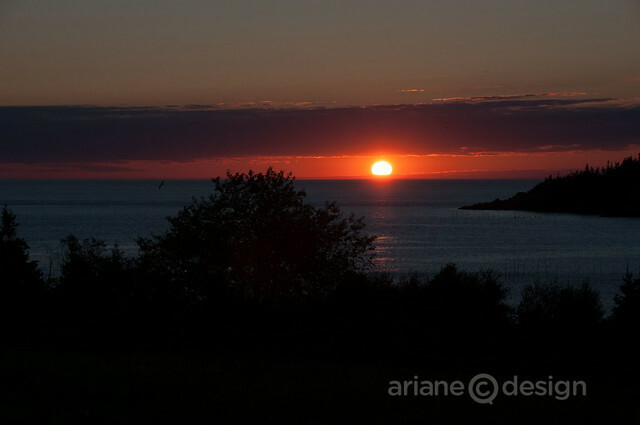 Captain Peter Wilcox and First Mate Durlan Ingersoll are both avid photographers. 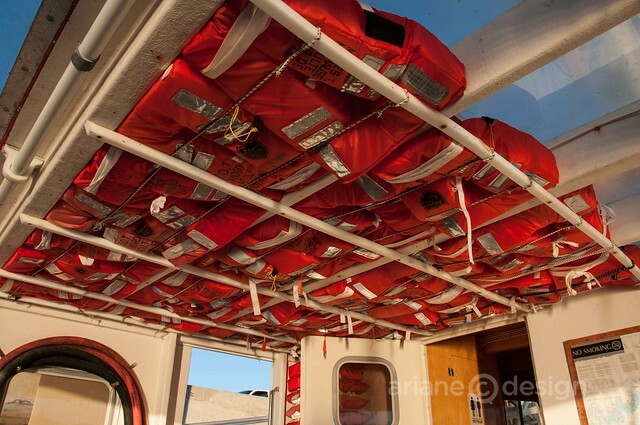 Durlan learned the ropes from Peter, and already his shots (there are books of his photos onboard) are something to aspire to. 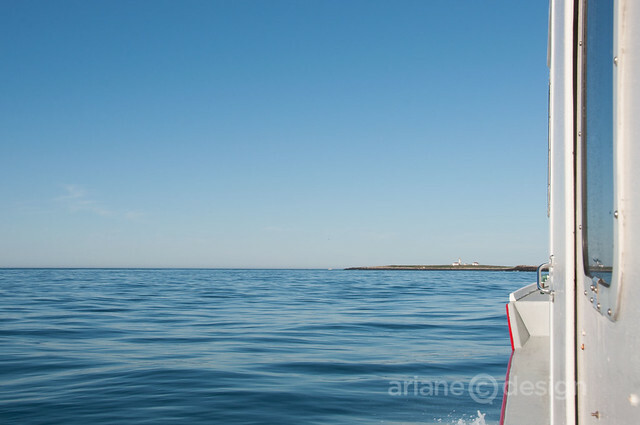 The Day’s Catch is outfitted with a washroom, floatation and rescue equipment, and comfortable seating, making for an enjoyable 11 mile trip along the coast of Maine. Parking is easy at the dock close to where the boat departs and returns. 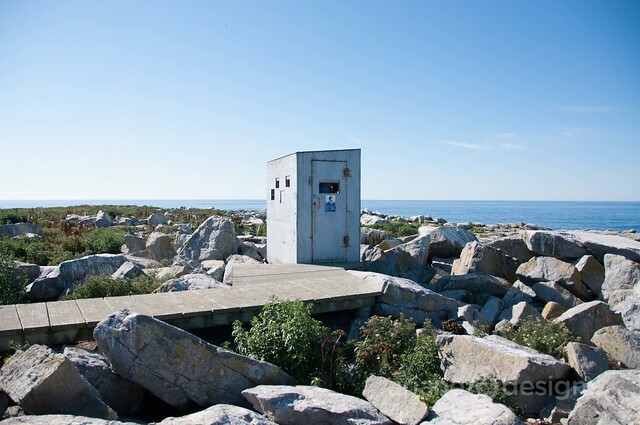 Machias Seal Island is a protected bird sanctuary. 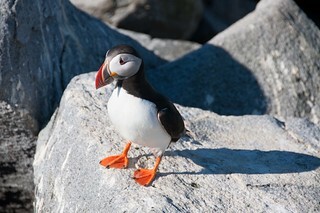 Atlantic Puffins, Common and Arctic Terns, and Razorbill Auks nest and breed here from early spring through mid-August. Tours start in late June. 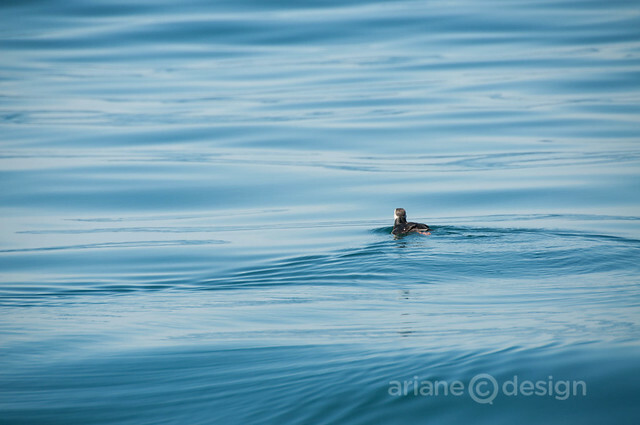 Close to the island, numerous puffins can be seen bobbing in the water, easy to spot with their recognizable orange/yellow beaks. 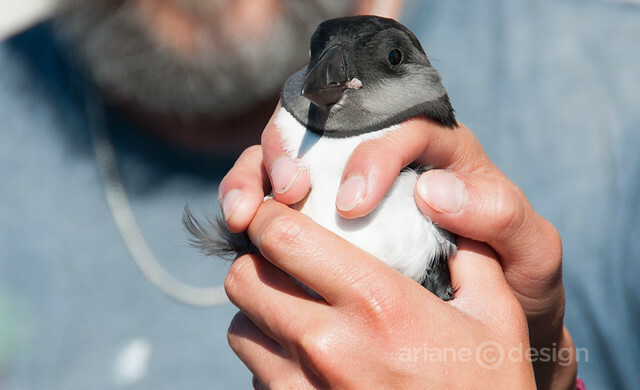 During the peak of the season, there are about 5,000 pairs of puffins flying around! As we all made it to the walkway close to the lighthouse, we were taken to a picnic bench seating area for an orientation. Passengers were broken up into four groups of about six people. 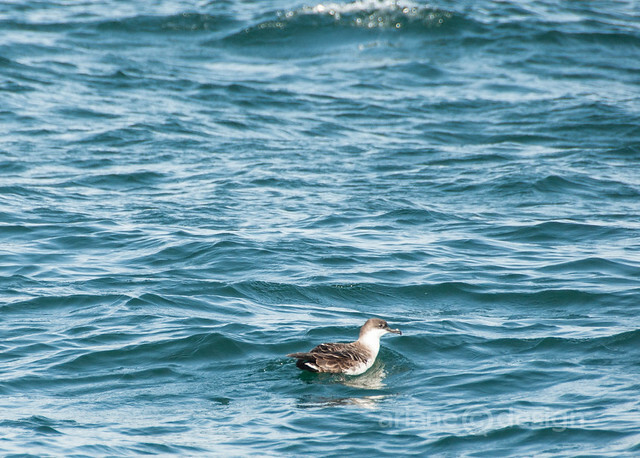 Each group was assigned to one of the four viewing blinds, the only permissible way to get up close and personal with these fascinating little pelagic sea birds. The experience is unbelievable. 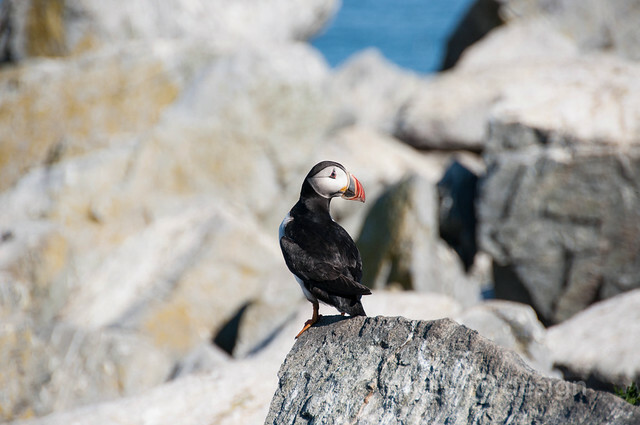 I’d only seen photos of puffins, but once you hear their erratic calls (as well as that of their babies below the rocks who hunger for fresh herring) and see their activity so close by (only a few feet away), you’ll wish that puffins were more easily accessible. Most of the puffin colonies around the world are in remote locations such as this one. 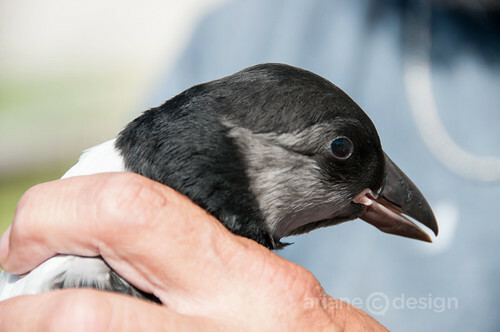 We were treated to a live viewing of a young abandoned puffin via one of the trained staff on the island. It takes about four years for a young puffin to acquire the fully coloured beak. 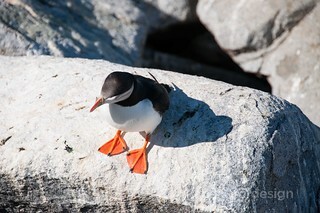 Meanwhile, this little puffin must have been left wandering the rocks or gotten separated from his parents. 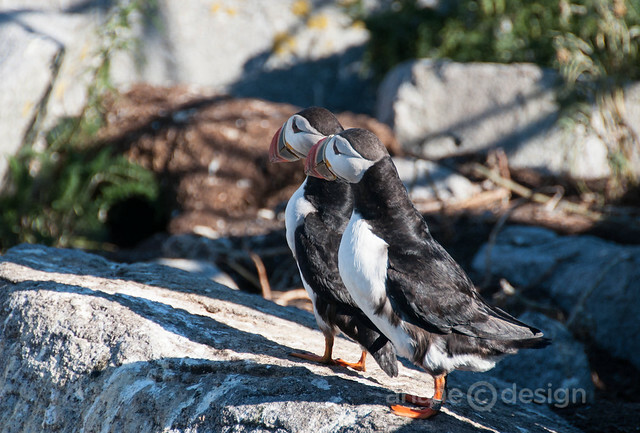 It may look like a photo op to us when a puffin returns from sea with its beak stuffed full of herring, but the parent is simply feeding its young. 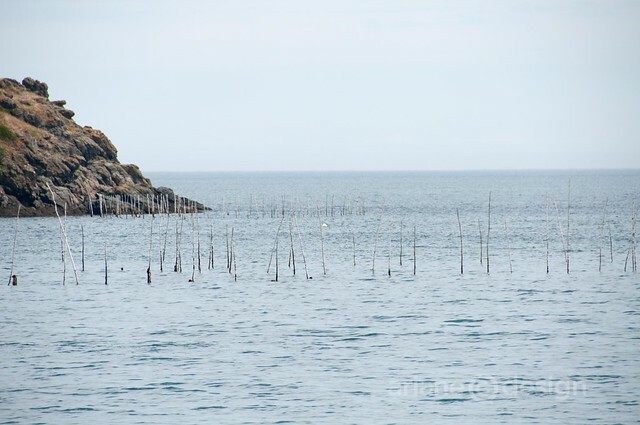 As quickly as they appear on the rocks with food, they again disappear down below. A few moments later, the babies are quiet again. We were allowed one hour in the blinds before time was called and we regrouped at the picnic bench area for departure instructions. It is a privilege to be able to land at Machias, one of the few places in the world where visitors can be placed within a breeding colony. Our group was also extremely lucky as it was the first tour out in over a week and a half due to fog conditions making it unsafe to take the boat out. The tiny island’s sovereignty is under dispute as both Canada and US claim its ownership. 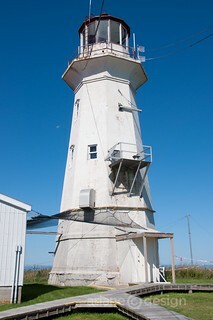 The Canadian Coast Guard both staffs and maintains the 1832 lighthouse. 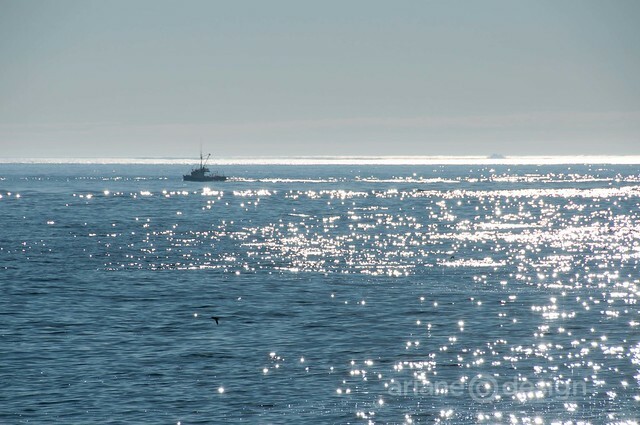 Whale watching tours are also available through Sea Watch (Monday through Saturday, at either 8 am or 1 pm; four to five hours; $65 adults/$45 children 12 and under). 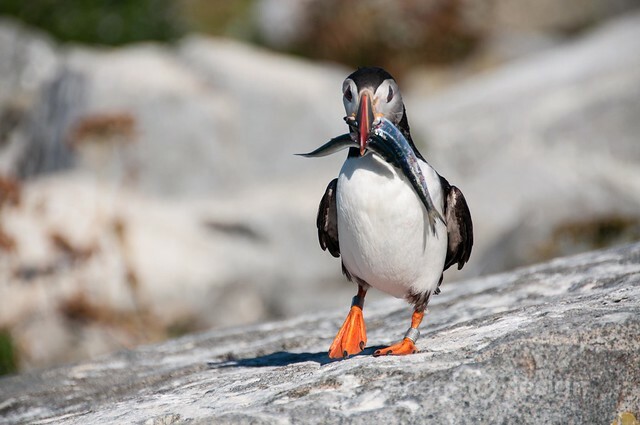 The puffin season is over for now, but prices are $90 per person. Children 12 or younger can view the action from the skiff (16 foot outboard motor boat and transfer from The Day’s Catch to the island) for $45. Your first cup of coffee or hot chocolate is free onboard and you can also bring food on the boat. 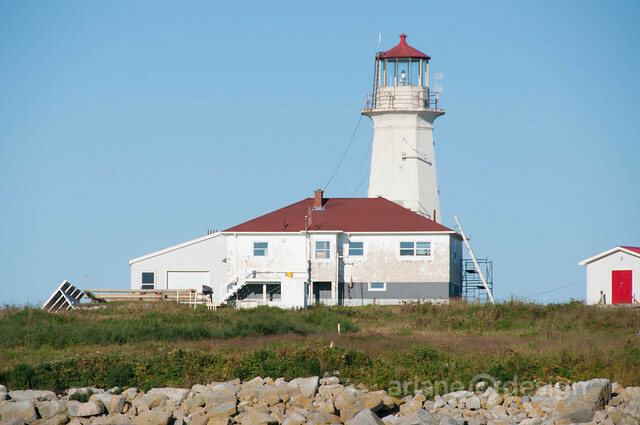 Sea Watch Tours is located at Seal Cove on Grand Manan Island. 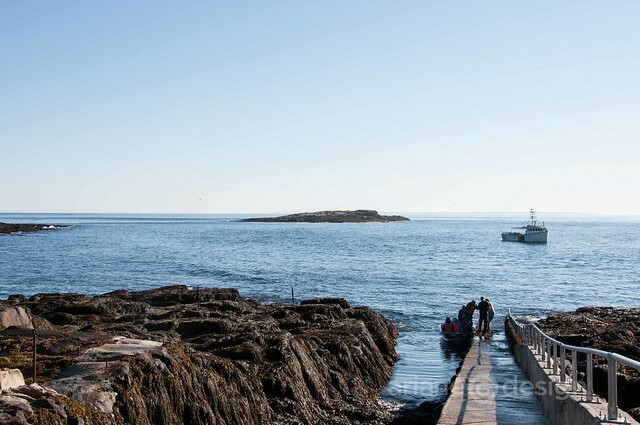 My stay at The Inn at Whale Cove Cottages, Machias Seal Island with Sea Watch Tours, and Whales-n-Sails Adventure were all courtesy of Tourism New Brunswick. Opinions, as always, are my own. 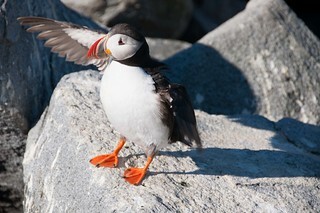 Took the trip and loved it-the puffins were wonderful. Yes, you definitely get the impression of not being in BC anymore! I just loved these outings. 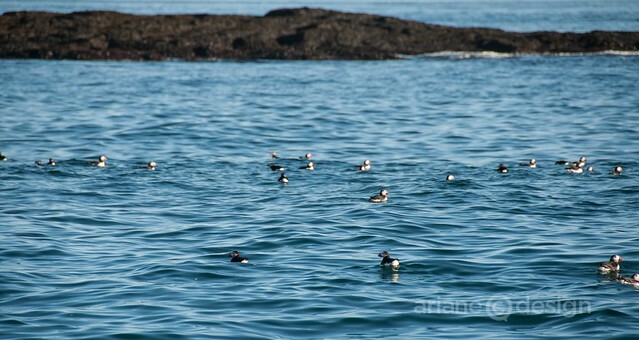 The puffins were amazing to watch, listen to, and photograph. What a treat for the senses! Thanks for checking out the article!